As anyone who tries to stay abreast of the latest research will know, there’s an overwhelming amount of information to keep track of. 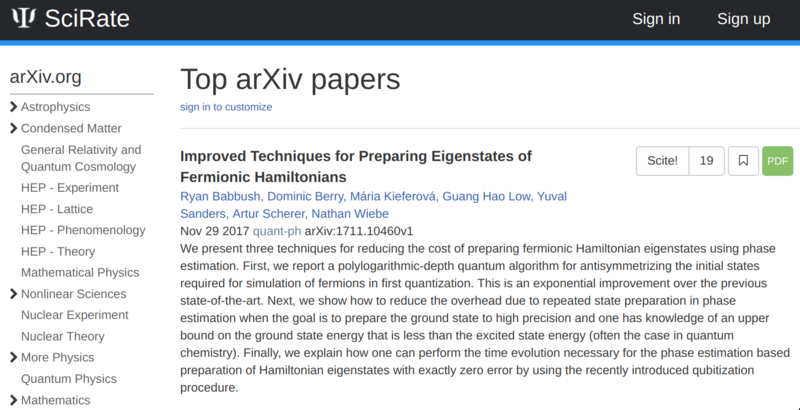 SciRate goes part of the way towards helping this problem by tracking papers from the ArXiv and allowing community to bubble up recommended papers. I recently added Silverpond as a supporter of SciRate given that it’s now a key part of my process for staying up to date, and that I am the current maintainer. If you have any feature requests or bug reports then head on over to the GitHub repo and let us know! The whole system is open-source!